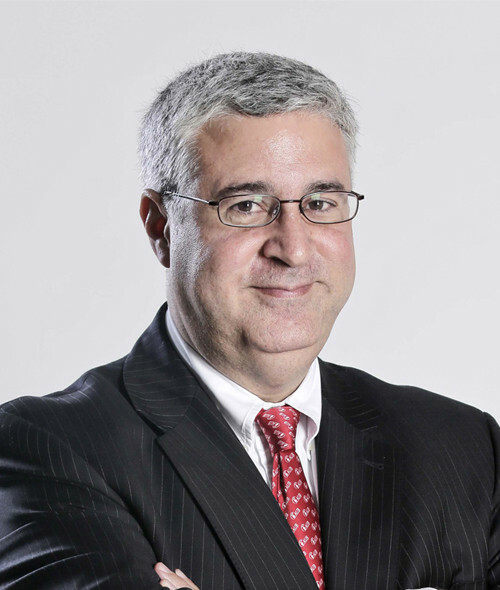 Dr. Fadlo R. Khuri, MD, became the 16th President of the American University of Beirut on September 1, 2015. Before joining AUB, Dr. Khuri was a Professor and the Roberto C. Goizueta Chair in the Department of Hematology & Medical Oncology, as well as Executive Associate Dean for Research at the Emory School of Medicine, where he was also Deputy Director of the Winship Cancer Institute. Dr. Khuri’s clinical interests include thoracic and head and neck oncology. His research areas include the development of molecular, prognostic, therapeutic, and chemo-preventive approaches to improve the standard of care for patients with tobacco-related cancers. His team is investigating the mechanism of action of signal transduction inhibitors in lung and aero-digestive tract cancers. Dr. Khuri is an accomplished molecular oncologist who has conducted transformative research on oncolytic viral therapy, induction chemotherapy, and targeted therapy of tobacco-related cancers. Dr. Khuri has developed molecular-targeted therapeutic approaches for lung and head and neck tumors that combine signal transduction inhibitors with chemotherapy, and he has led major chemoprevention efforts in lung and head and neck cancer. He has led the recruitment of over 90 faculty members to Emory over 13 years, has co-authored over 300 peer-reviewed papers, with over 15,000 citations of his work, and an h-factor of 66. Dr. Khuri is an elected member of the American Society of Clinical Investigation, a Fellow of the American College of Physicians, and a Fellow of the American Association for the Advancement of Science. He has helped lead or co-lead grant applications that have secured over $30 million in NIH funding for Emory University, and has been honored by the Middle East Medical Assembly (the 2006 Nagi Sahyoun Memorial Award), elected to the Lebanese Academy of Sciences, and received the Richard and Hinda Rosenthal Award from the American Association of Cancer Research for his seminal work in lung and aerodigestive cancers. His main area of research involves targeting survival signaling pathways in lung and aerodigestive cancers.